Earlier this year, the influential Alzheimer’s Disease International charity published its World Dementia Report 2014. Dementia and Risk Reduction: An analysis of protective and modifiable factors critically examines the evidence for the existence of modifiable risk factors for dementia. It focused on sets of potential modifiable risk factors in four key domains: developmental, psychological and psychosocial, lifestyle and cardiovascular conditions. The report makes recommendations to drive public health campaigns and disease prevention strategies. The full name of the Alzheimer’s Disease International, as its CEO Marc Wortmann (@marcwort) is keen to point out, is “Alzheimer’s Disease and Associated Disorders”. This is clearly relevant as there are about a hundred different types of dementia, of which the dementia of the Alzheimer type happens to be the most prevalent. The media – and certain members of the medical profession – regularly like to conflate all dementias with Alzheimer’s disease, a phenomenon known as “Alzheimerisation”. But it is hoped that accurate communication of risk of the dementias may play an important rôle in prevention, and in combatting stigma and discrimination. The big unresolved question is, of course, is how this emphasis exactly will help nearly a million currently living in the UK with dementia. It is not thought that the prevalence of dementia in England is static. It is thought that it is falling. Indeed, the authors of that study indeed signpost what could be driving that reduction in their introduction. Prevention of dementia is likely to be big business. The NHS Health Check was launched in 2009 to assess and treat patients aged 40 to 74 for their risk of developing heart problems, diabetes, high blood pressure and kidney disease. In July 2014, Prof Clare Gerada was reported as voicing serious concerns. The Blackfriars Consensus Statement calls for new national focus to reduce risk of developing dementia. Action to tackle smoking, drinking, sedentary behaviour and poor diet could reduce the risk of dementia in later life alongside other conditions such as heart disease, stroke and many cancers, according to the UK Health Forum and Public Health England in a joint consensus statement published on 20 May 2014. The Blackfriars Consensus Statement argued that the scientific evidence on dementia risk reduction is evolving rapidly and is now sufficient to justify action to incorporate dementia risk reduction into health policies and to raise wider awareness about which factors can reduce the risk of developing dementia. This precautionary principle maximally allows for mission creep, of course, as rent seekers wish to establish new financial markets under the guise of prevention of medical disease. The origins for this policy can be found in the computation of the ‘lifetime risk score’ for cardiovascular disease. Back in July 2013, there was a furore about the possibility of an army of patients being put on statin drugs to lower their risk from certain forms of cholesterol as a result of ‘JB3 guidance’. ‘Bad’ forms of cholesterol can cause heart attacks or stroke. The precise history of how the ‘Joint British Groups’ arrived at this is complicated, however. But an influential article in the Heart journal from Joep Perk, Ian Graham, Guy De Backer from Sweden, Ireland and Belgium was pretty damning about this (3). So even if dementia is amenable to modifiable risk factors, how much of it exactly is amenable? I don’t blame Dr Charles Alessi for wanting to ‘make a difference’. Prevention is a core strand of dementia policy globally. But the reputation of and trust in the medical profession are both vital. 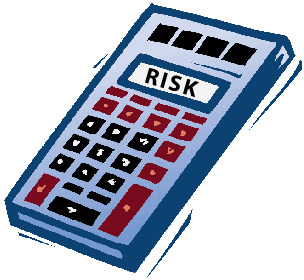 It is essential that any policy of ‘risk calculators’ in England is rolled out by members of the medical profession with the utmost integrity and probity, especially since the plan is to pay GPs for every diagnosis of dementia made. (1) Matthews FE, Arthur A, Barnes LE, Bond J, Jagger C, Robinson L, Brayne C; Medical Research Council Cognitive Function and Ageing Collaboration. A two-decade comparison of prevalence of dementia in individuals aged 65 years and older from three geographical areas of England: results of the Cognitive Function and Ageing Study I and II. Lancet. 2013 Oct 26;382(9902):1405-12. doi: 10.1016/S0140-6736(13)61570-6. Epub 2013 Jul 17. (2) Biessels GJ. Capitalising on modifiable risk factors for Alzheimer’s disease. Lancet Neurol. 2014 Aug;13(8):752-3. doi: 10.1016/S1474-4422(14)70154-1. (3) Perk J, Graham I, De Backer G. Prevention of cardiovascular disease: new guidelines, new tools, but challenges remain. Heart. 2014 May;100(9):675-7. doi: 10.1136/heartjnl-2014-305650. Epub 2014 Mar 25. (4)Norton S, Matthews FE, Barnes DE, Yaffe K, Brayne C. Potential for primary prevention of Alzheimer’s disease: an analysis of population-based data.Lancet Neurol. 2014 Aug;13(8):788-94. doi: 10.1016/S1474-4422(14)70136-X.